Francee' is one of the best white-margined hostas. 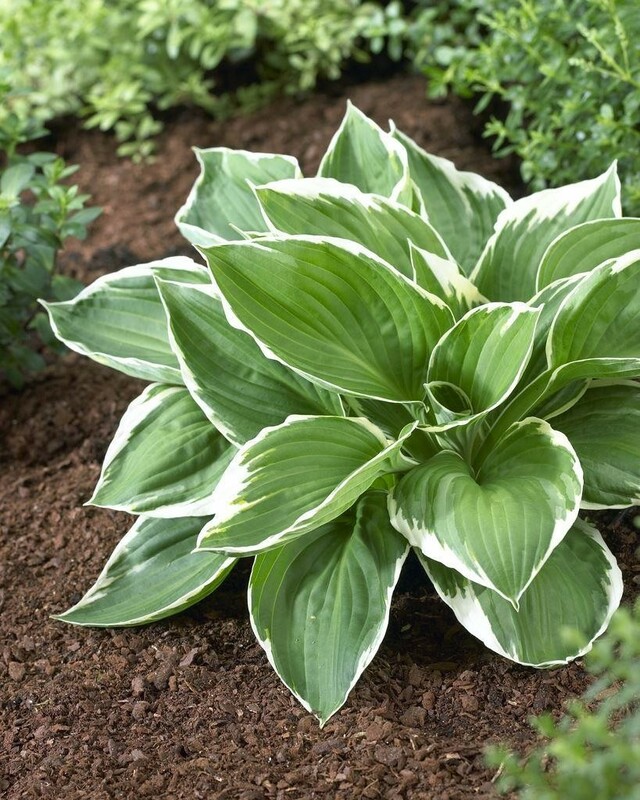 It is a vigorous fortunei-type hosta with large distinctive blue-green leaves, each with a slightly jagged yellowish band round the edge. Although mainly grown for their foliage, in midsummer they produce impressive spikes of lavender bell shaped flowers held just above the foliage. Plants prefer light shade as the leaf margins may scorch in a sunny spot especially if the soil is not moist enough. 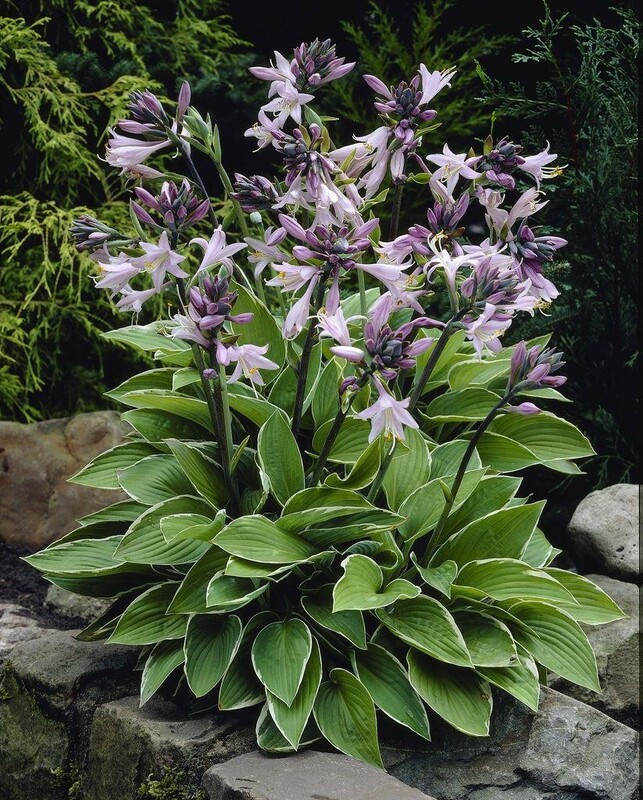 Like all hostas, they make effective ground cover and look best when grown in groups. 'Francee' teams well with other hostas, but also looks good with hardy ferns, astilbes and dicentra in light shade. Supplied in approx 3 litre containers.